Gallstone Disease - Where Does Gallstone Come From? Millions of people heard the name "gallstone" and the disease, but it is still full of mystery. There are people who have big stones inside their small gallbladder, but don't even know they have them and experience no symptoms. However, once it starts raging, some organs of the body like the liver and pancreas will be damaged. Many patients are left unaware that they are having gallstones. Besides, the disease is always being discovered or detected late. Even during a full physical examination or general checkup, finding gallstone symptoms usually fails. What is the reason behind it? Do you believe that people who watch TV more than 40 hours a week have a higher risk of developing gallstone than those who watch less than six hours a week? Does it link to obesity and lack of exercise? What is the reason and cause behind this mystery? This was the question asked and surveyed in the US. The bile (a digestive fluid stored in the gallbladder) is prone to gallstones and doctors believe it as the cause. Lipid-based diet contains the highest amount of cholesterol, and we believe that it is the major cause of gallstones. Cholesterol in the bile and increasing amount of cholesterol in the gallbladder is the major cause to gallstone problem. 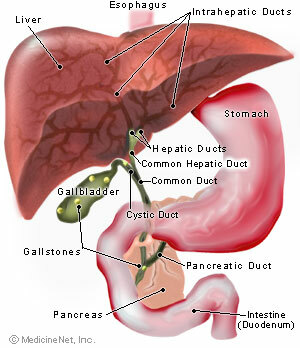 Many cases of gallstone are asymptomatic as long as the gallstones are inside the gallbladder. But once the gallstones are outside the gallbladder, they will start to roll around and get stuck along the ducts, which will cause various symptoms. This is called a gallbladder disease. Sick bile flow causes chronic inflammation and severe pain occurs. Liver damage may also occur by the similar reason. In some cases, hepatitis and cirrhosis may also occur. Worst-case scenario, stagnating bile bacteria may grow in the entire body leading to septicemia. In addition to the common bile duct, obstruction of the outlet of the pancreatic exocrine system can cause pancreatitis. Most patients who underwent surgical operation for the removal of gallstones have had no signs or symptoms excepting sudden severe pain. Also, many may notice that these patients had undergone general checkup yearly or every six months at reputable hospitals. But why doctors failed to find or diagnose or explain the existence of gallstones? Most doctors will inspect or diagnose it if you specifically requested it to check for symptoms. It is a common practice. General checkup and X-ray are commonly performed on chest, and the gallbladder section is not taken most of the time. Also, you should know that X-ray does not usually indicate the presence of gallstone as it is mostly composed of lipid cholesterol. If you keep or leave the bile at your body temperature, it will form crystallized cholesterol and will grow bigger overtime forming gallstones. This kind of gallstone can't be shown in X-ray. 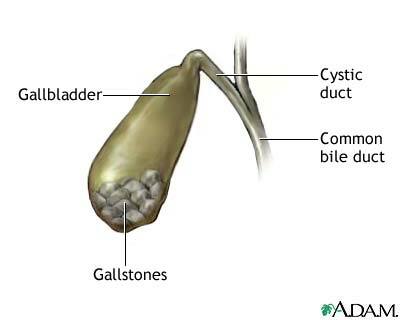 There are other kinds of gallstone, too, depending on the patients. Some of them can be seen in X-ray. To check the presence of gallstone, regardless of its type and size, echocardiogram is usually being utilized. A certain experiment showed that eating raw eggs or high calorie foods will increase gallbladder contraction. On the other hand, eating or drinking vegetable juice that does not contain lipid will decrease gallbladder contraction. If the gallbladder contraction is insufficient or not in a state of contraction for a very long time, and the bile has been much concentrated, then the gallbladder is seen to be more prone to develop gallstones. It does not mean that all of us will be affected by gallstone. There are some who never had any symptoms in their lifetime. We call this silent gallstone, and occasionally, they disappear on their own. Although we do not have any definite records, we believe that nearly 70% of us never notice or never experience such symptoms. Do not skip breakfast! We believe that gallstone is mostly made while you are sleeping when the gallbladder contraction is insufficient. Breakfast will help the gallbladder to wake up. Irregular meal is also one cause that leads to gallstone problem. Many believe that too much fat is the main cause of gallstone problem, but it is certainly not. According to our experience, if you will leave the gallstones in the gallbladder, X-ray and echocardiogram examinations may not give full result. Detection of gallbladder cancer and other diseases may be delayed. Gallstone is not only caused by one but by several other reasons. The most difficult and with an unknown cause by today's science is due to negative energy. Many patients who were treated by the PYRO-ENERGEN have their gallstones broken to smaller pieces and discharged with urine. Yes, we know that obesity is one cause of gallstone. We know that female hormone has something to do with gallstone. Constipation is also a cause that leads to gallstone problem. Once again, don't watch too much TV, it will lead to gallstone problem, hahaha, that's true.